UPDATE: Hear the presentations from the Memorial for David McReynolds here. The memorial was held on Saturday, December 1 at 12 PM – 3 PM at Judson Memorial Church in New York. Scroll down for links to more articles about David. 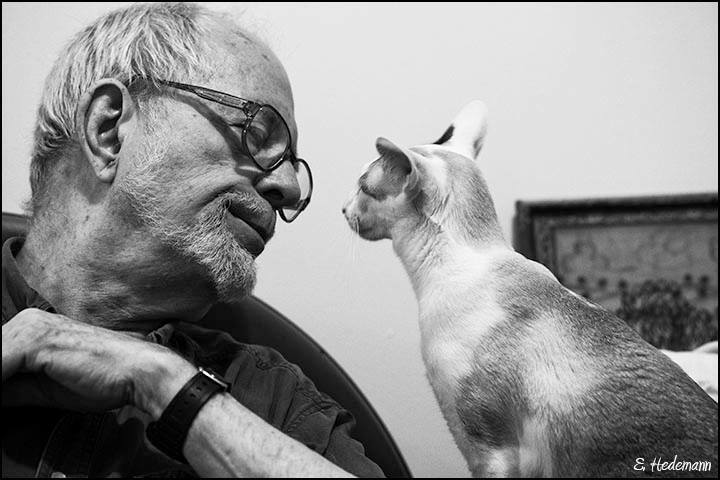 Early Friday morning, August 31, socialist, photographer, and lifetime War Resisters League member David McReynolds - committed pacifist + socialist - passed peacefully at the age of 88. David was on WRL staff for a large part of his life and remained within community long, long after. David McReynolds (1929-2018) died at 1:30 this morning, a day after being brought to Beth Israel ICU in Manhattan. He had suffered a fall in his apartment and apparently never regained consciousness. For those who don't know, David was on the WRL staff for almost 40 years (1960-1999), a long time member of the Socialist Party, who ran for Congress in 1968, President of the United States on the SPUSA ticket in 1980 and 2000 — the first (I think) openly gay candidate for President — and for the U.S. Senate from New York in 2004 on the Green Party ticket. An internationalist and former chair of the War Resisters' International, he traveled extensively, many times to war-torn countries, once getting arrested in Red Square during an anti-nuclear protest in 1978. David's family and friends will be planning a memorial service in the weeks to come. As we reflect on David's legacy, WRL is preparing to mark 95 years of resisting war this October 11th. To place a message of remembrance for David in WRL's 95th Anniversary program journal click here, or if you would like to make a gift to WRL in David's memory you can do so here.